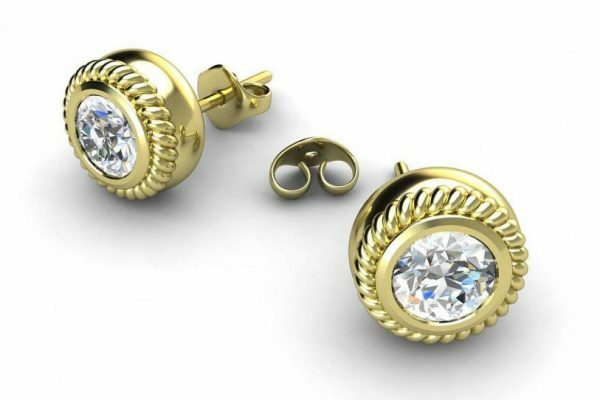 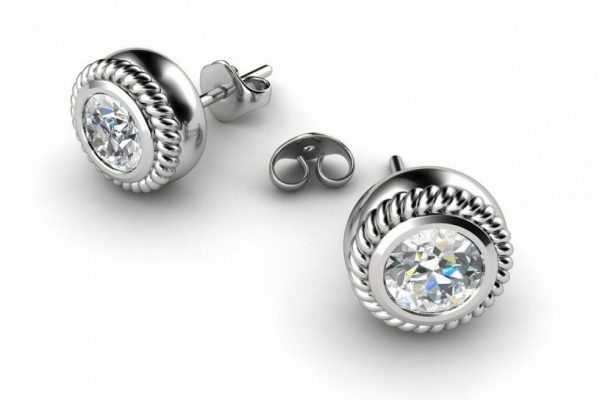 These stunning bezel set stud earrings are set with a pair of white, champagne or yellow diamonds . 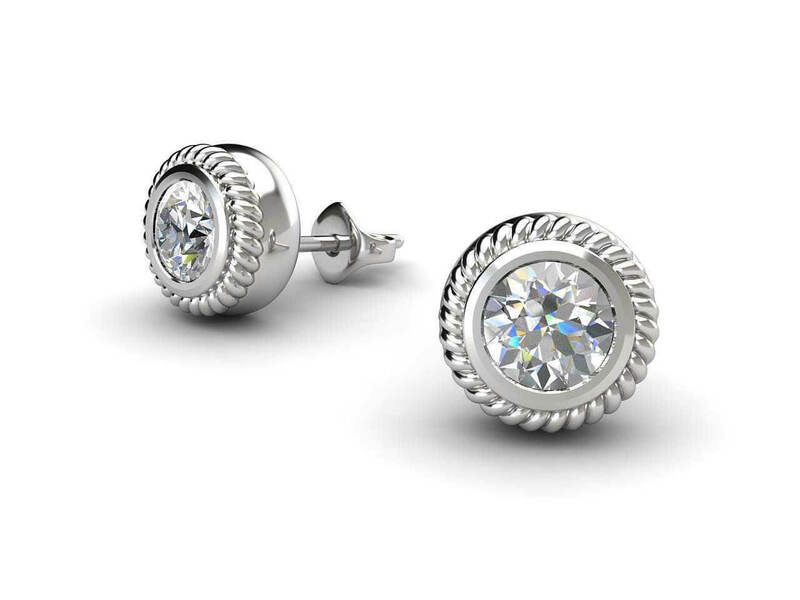 With a minimum total weight of 0.25ct they dazzle in the light and their size makes them perfect for wearing day and night. 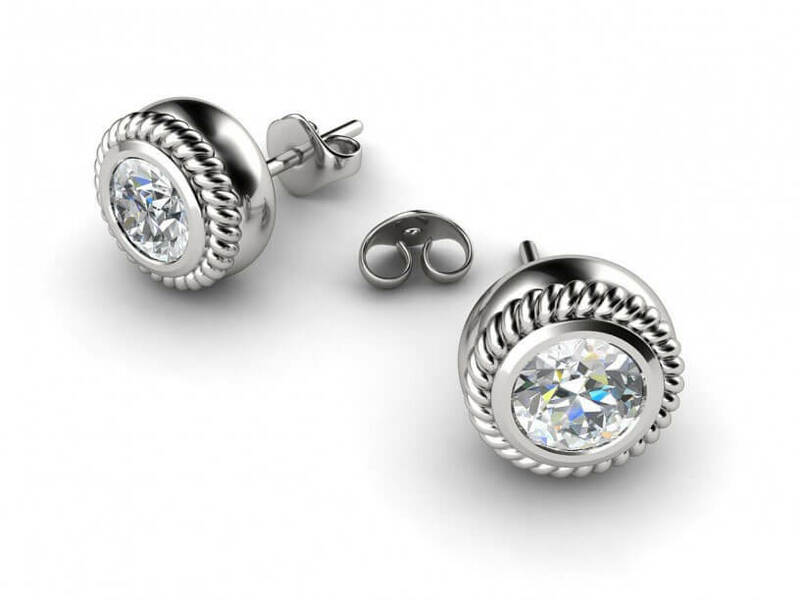 The diamonds are held in a bezel setting with a fine wire twist detail. 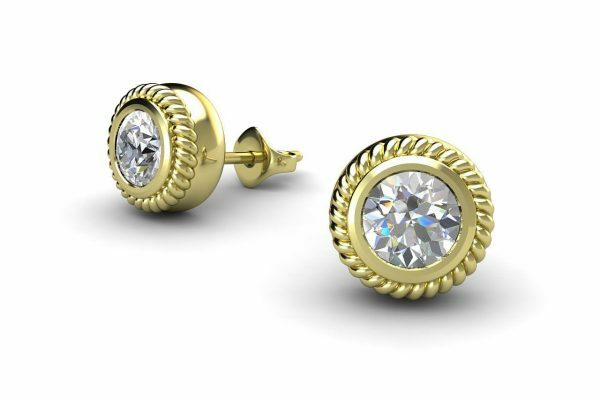 Can be made in 18k white or yellow gold or platinum.